The Lhasa as the name suggests itself was bred in Lhasa, capital of Tibet. Their prime work was to inform the monks of any intruders. Apso in the local language means bearded. 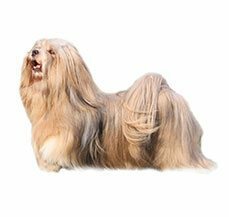 When clubbed together this means a long haired dog found in Lhasa. Lhasa Apso are the perfect examples of looks being deceptive. On looks alone this is a small and adorable looking dog with hair that touch the floor, they look like toys but on the contrary are a feisty breed, which is strong and makes an excellent watchdog for the family. If you are a proud owner of this breed then you would be quiet accustomed to the resonance of this breed’s bark and if you are a prospective owner then you should remember that you will bring home a cuddly and adorable dog but in its heart resides a fearless warrior that has extremely sensitive ears and was bred to keep a watch inside monasteries. The Lhasa Apso was bred in Tibet and for a long time they were to be found only in this area. They were bred in as a sentinel inside most of the Buddhist monasteries. Their prime objective was to alert the monks of any intruders. The Lhasa Apso has been present since 800 BC, this makes them one of the oldest breed of dogs to be around. They were bred to be kept inside the monasteries and in the houses of the Tibetan nobility and Buddhist monasteries. It was not until 1930 that this breed came to United States and all thanks to C.Sudyam Cutting from introducing them to States. He was presented with a Lhasa by 13th Dalai Lama himself. This was a common practice at the time in Tibet, the ruler would present the visiting diplomat with a Aspo as a present. It was present in UK from 1920s though. It is for sure one of the purest and oldest bred dogs in the world as of today. This dog was a prized possession outside Tibet, it was locally believed that the when the master died it entered the Lhasa body and was considered to bring good luck to their owners. A full grown Lhasa Apso looks like a toy dog, they can be easily passed as a lap dog. But unlike even some large breed dogs, the Lhasa Apso make the perfect watch dogs. They were bred with a heightened sense of hearing and their magnanimous bark surpasses their size. Lhasa Apso have a full hair that almost grows to the floor and makes their feet invisible. 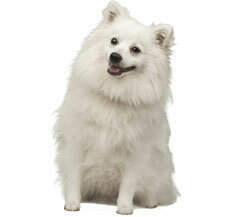 Their smooth and lustrous long coat can make them the perfect dogs for a family with their stuff toy inspired looks. This will require regular grooming from your end as otherwise it can give rise to tangles and mats. The other unique thing about this ball of fur is that it is long in size as compared to its height. This is one of the few breeds that not only has droopy ears but has hair inside its ears, which can at times provide the perfect breeding ground to all microbes. Just remember that it has to be cleaned on a regular basis. One of the most famous movies featuring a Lhasa Apso is the Lady and the Tramp. Along with this your adorable pooch stars in East of Eden, How to marry a millionaire and The 7 year itch. In addition to this they have also featured in two episodes of the longest running television show The Simpsons. Their size and coat has made them perfect companions for the celeb world as well. These are a few famous celebrities that own a Lhasa, this includes Ellen DeGeners, a famous American talk show host, Singers Arturo Paz is the proud owner of one and Gwen Stefani had an adorable Lhasa Apso. Closer home Minissha Lamba owns a cute Lhasa Apso. If you have or want to bring a Lhasa Apso into your home just remember that they will require a lot of your time when it comes to its grooming, in fact this is the only time consuming aspect of the breed. They shed very less but their long and lustrous coat make it a time consuming affair to be tamed. Lhasa has a double coat that is a soft undercoat and a little coarse outer hair. Though there are many owners who prefer to keep their pets in puppy clip, which is a shorter and manageable hair. If not brushed once a week their coat can easily become mop dusters. Whatever the hair length of your pet, a Lhasa Apso will not lose its appeal in either. Though both the lengths will need regular brushing to prevent all tangles and mats. The less shedding in your Lhasa helps this pet to be with people who are prone to allergies. Your pet’s feet will always be covered by a lustrous coat so ensure that they are checked regularly for any foreign object that is tapped. You will need to brush your pet’s teeth regularly to prevent formation of plaques and maintain a fresh breath at all times. In addition to this they have droopy ears that have to be cleaned regularly to prevent any infection. Lhasa Apso are one of the healthiest and pure breeds in the world as of today. They are mostly free of diseases and can live up to 20 years at times. In fact one of the oldest dogs was a Lhasa Apso, which lived up to the age of 29 years. Though this may not occur in your pet at any given time, these are one of the most common diseases that your adorable pet can suffer from. Your Lhasa Apso can suffer from a genetic disease called progressive retinal atrophy, which if not treated in time can lead to blindness in your pet. In this the retina of your pet’s is attacked and can lead to partial blindness, which at times can also lead to complete blindness. The first sign is night blindness in your pet. In addition to this Cherry eye is also a common problem with this breed, which is the swelling of the third eyelid that resembles a cherry. Lhasa Apso is a great family dog. They have an even temperament and were bred to be sentinels dogs by the monks in the monasteries of Tibet. Their exceptional sense of hearing make them the perfect watchdogs. So if you have a Lhasa at home then be rest assured that every new comer into the house will be greeted with incessant barking. They can be wary of strangers so ensure that when he or she is a puppy you socialize them with other pets and people other than family members. If not trained early they can turn aggressive towards stranger. They are fiercely loyal to their owners and can be extremely protective toward them at times. Lhasa is the perfect family dog and they love to show their love towards their owners. They will run and roll around your feet and will be always be ready to be petted. If you have this adorable breed at home you will know that patience is virtue when it comes to your Lhasa, though they are highly intelligent and trainable. They can be little stubborn at times and they are slow when it comes to be house trained. So if you are an aspirant owner then remember that you will need to give them time with all kinds of training. Your Lhasa Apso will respond well to motivational training though. They are fantastic as family dogs they might not be the perfect kid friendly dog for your infants and toddlers though. In fact their low exercise requirement makes them the perfect companions for senior and adult families, which have older kids. If you are an experienced dog owner then they will do well with young kids as well. Lhasa Apso has been bred in Tibet, which is known for its fierce winters and short but hot climate in summers and lesser oxygen levels. So, they are perfect for any weather. Their size makes them perfect for all apartments living as well. Though the size of the breed is small they also need regular exercise. An everyday walk will be enough. This not only helps to meet their exercise requirement but also helps to develop a well rounded dog. Lhasa can easily adapt to yard living as well but just ensure that it is fenced. They are great family dogs but at times can be difficult for very young children as they might not how to handle him or her. Lhasa Apso is perfect for families with a older children and adults. Just remember that you need to socialize your pet early to avoid any temperamental issues later with strangers. They can be vary of strangers and can bark incessantly in their presence at times. Lhasa Apso is a very intelligent dog but this intelligence does not make them easily trainable dogs. They were bred to be fierce watchdogs. Though the ferocious streak is not present in them any more they can still at times consider themselves to be the alpha male of the family or the protector. So always remember that you need to be patient when it comes to training your Lhasa Apso. The first thing you need to remember is to train your puppy to ensure that he or she is friendly with all the family members. It is recommended to help them interact with strangers to ensure happy go lucky dogs. 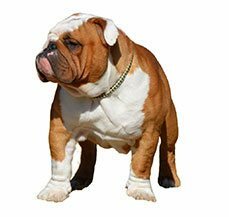 This breed might look fragile but are in contrast very sturdy for their small size. 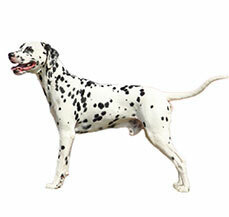 They are excellent watch dogs and their heightened smell helps them to be trained for any foreign object in your home. Lhasa Apso take time to be house trained. The best way will be to start with crate training. Just remember that persistence will help you to get the desired results easily. This small fragile looking dog on the contrary to its look has a robust built and the first thing that you will notice about them is the long and lustrous coat, which parts along the spine. It needs to be brushed regularly to prevent any tangles and matting. The body of your Lhasa Apso is longer than its height, which has a level back along with sprung rubs and long loins. The tail of the Lhasa Apso is also heavily feathered and is set high and is curled over the back. They end may be at times kinked. The legs are also densely feathered with straight forelegs and the hind legs are muscular and well developed. In addition to this the feet resembles a cat that is well feathered, compact and round. The pads are thick. The eyes are mostly covered with hair but are dark brown and medium shaped, the white parts are not visible with the hair over it. The ears are feathered and hang down from the body. Along with this Lhasa Apso has a narrow skull with a slightly arched black nose and heavy long hair falling over the eyes. They will be your faithful companion for almost 12 to 15 years.